Tyquan Johnson, a 6-3 180 pound WR from Sylvania, Ga has Tweeted he's received an offer from UMass. First Team All-Region in 2016. This article features "Flash" Johnson. 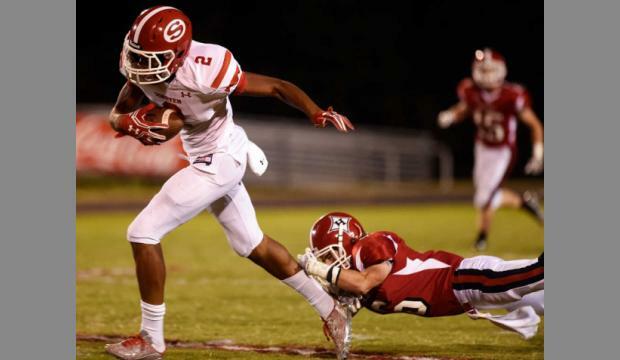 Johnson holds ten offers including 2017 opponents Mississippi State, Appalachian State and Coastal Carolina. UMass is his only offer from the Northeast. UMass TE Adam Breneman will be the guest speaker at PennLive High School Sports Awards. Earlier this week I blogged about USF player Hassan Childs being shot multiple times during a road rage incident. He's now been dismissed from the team. Speaking of the Bulls, they're in the eighth day of their Spring practice. UMass plays USF at Raymond James stadium in Tampa on October 14th. 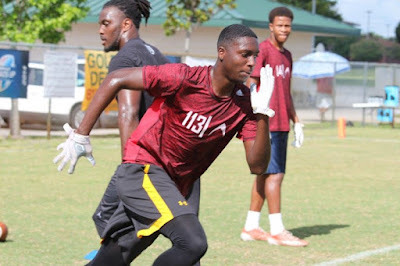 Atorian Perry, a 6-5 175 pound WR from Lake Worth, FL has Tweeted he's received an offer from UMass. 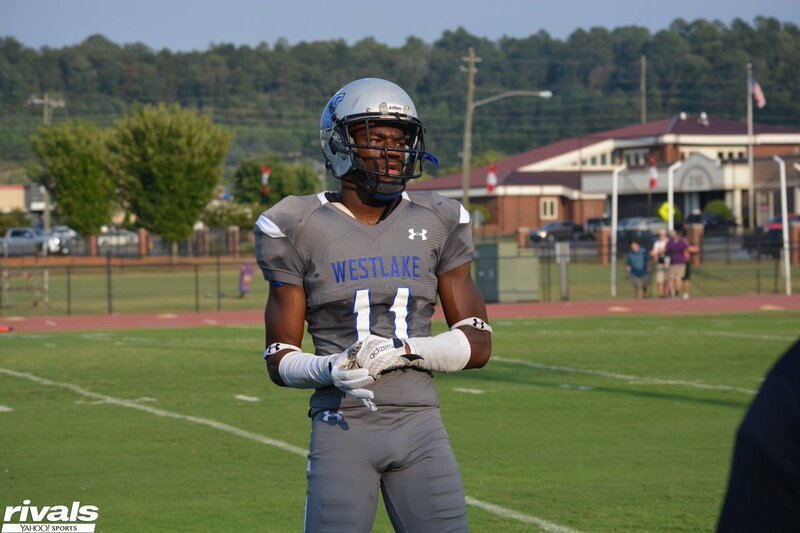 "Park Vista High School 2018 WR Atorian Perry is a name to keep an eye on. At 6-feet-4 and 175 pounds, Perry has good size and long speed for the receiver position. He currently claims an offer from Howard University. Schools like Pittsburgh are showing interest, but haven’t offered yet." UMass was the first FBS team to offer Perry. Appalachian State followed one day later. Franz Beard of Scout.com has thoughts for the day. Has comments on two of UMass' 2017 opponents (Mississippi State and Tennessee) plus his take on UMass hiring Matt McCall. Speaking of the Vols, Tennessee is one week into their Spring practice. UMass will follow Georgia Tech, Indiana State and Florida in Tennessee's September schedule. Speaking of Mississippi State, Football Scoop says if you're looking for the school with the best overall football, basketball and baseball programs, then try the Bulldogs. Football Scoop.com has a post on how a successful football program helps a school in ways money can't buy. The example is Temple. NJ.com has another story about Penn State hiring E.J. Barthel as recruiting coordinator. 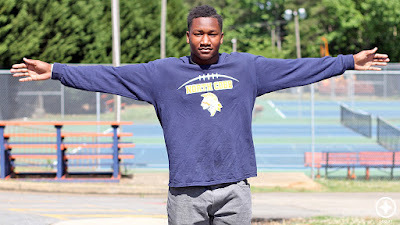 Jaylen Rivers, a 6-2 195 pound Athlete from Atlanta, GA has Tweeted he's received an offer from UMass. 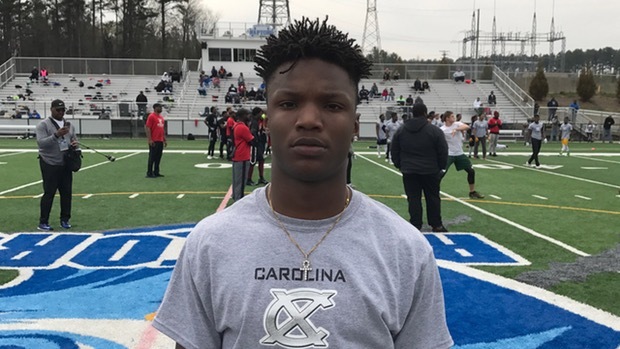 "Playing on both sides of the ball for Atlanta (Ga.) Grady, Jaylen Rivers has the ability to suit up as a receiver or defensive back on the college level. Last September Rivers picked up a scholarship offer from Louisville and has remained in contact with the 6-foot-2, 180-pound prospect since doing so." Rivers has eight offers with UMass as the only school from the Northeast. There's a new version of the 2017 Spring roster up. It has the early enrollees from January. The revised roster shows the numbers they were assigned. Speaking of Jalen Williams, he worked out for the 49rs. 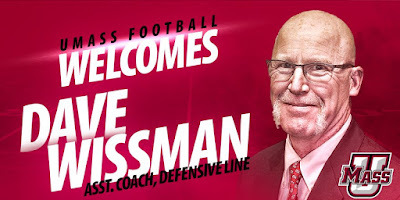 Kyle Daluz of the UMass Daily Collegian has a post on new UMass DL coach Dave Wissman. Buffalo Low Down.com has a profile of Vladimir Ducasse. Vlad's been an OG most of his pro career. Up State NY.com asks if he can play right tackle. USF DB Hassan Childs was shot multiple times in a possible road rage incident. The Minutemen play at USF on October 14th. 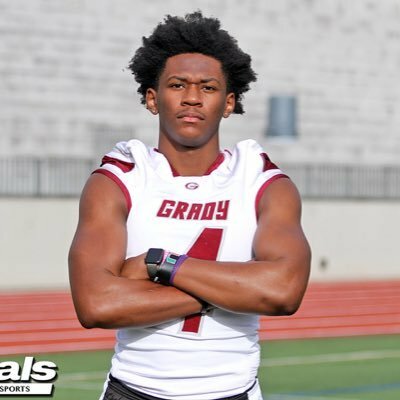 Tyrese Ross, a 6-0 180 pound Safety from Atlanta, GA has Tweeted he's received an offer from UMass. Besides UMass, Ross has offers from Nevada, Mississippi State and Western Michigan. Matty Vautour says new defensive coordinator Ed Pinkham wants UMass to play aggressive defense. "The Minutemen will technically be a 4-3 defense under Pinkham, but he said it’s more like a 4-2-5 with a linebacker/safety hybrid instead of a third linebacker. The players are learning the system’s nomenclature and making adjustments after spending the past three years in a 3-4 defense." 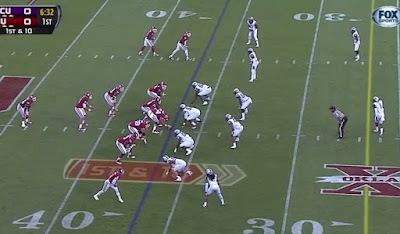 American Football Coaches' Weekly on the 4-2-5 defense. Philly Sports Network profiles the NFL prospects of Jalen Williams. in 2016 Williams went 11-7 GP-GS 27-520 19.3 AVE 6 TD's 74 LONG. He was the third leading receiver on the squad and second among the wide receivers. Williams' UMass bio. Well-traveled former UMass coach Jerry Azzinaro is now DL coach at Cal. Mike Traini of "Fight Massachusetts" has a list of players who attended UMass' first Junior Day of 2017. With Spring practice over, Hawaii waits for August 26th. Old Dominion starts Spring practice April 1st. Mississippi State's Spring game will be on April 8th and will be televised on ESPNU. Patrick Keenan, a 6-6 210 pound DE from Tampa, FL has Tweeted he's received an offer from UMass. This article from June of 2016 features Keenan. Keenan also has offers from Marshall and Toledo. Dan Malone has a post on Andrew Ford's upcoming second year as starting QB. Ford finished 46th in passing efficiency in 2016 and 25th in TD's thrown. With Adam Breneman and Andy Isabella coming back, he should have two receivers to rely on. Isabella went 62-801 12.9 AVE 7 TD's 55 LONG. UMass needs more production from the rest of the WR corps. Sophomore Sadiq Palmer, Redshirt freshman Brennon Dingle and Freshman Patrick Volcy need to help. The Minutemen might get some production from the 2017 recruits. Six-foot five JUCO Jacoby Herring and Jesse Britt could get significant playing time. Coastal Carolina is preparing for their first FBS season. Hopefully, UMass will give them a rough start. More on former UMass player E.J. Barthel joining Penn State's support staff. Trey Morrison, a 5-10 175 pound WR/DB/Athlete from Norcross, GA has Tweeted he's received an offer from UMass. MaxPreps has stats. Note the 39.9 AVE on kick returns. "Morrison, who is also a basketball star at Greater Atlanta Christian High School, said that he does not have any early favorites in recruiting. "I like all the schools who have offered," he said. " Morrison has 19 offers including UMass and Boston College from the Northeast. Image gallery from Pro Day. Former UMass player E.J. Barthel is leaving his position as recruiting coordinator for Temple and moving to Penn State. Old Dominion adds a $4.5 million weight room to their training facility. OT, but the AAC conference may add Wichita State in basketball. Also OT, but Bob McGovern has a post on "Fight Massachusetts" that is well worth your time. It's not easy being a UMass fan. Bob believes we'll rise some day. So do I. Lost in yesterday's soap opera was UMass' Pro Day. WWLP has a report on the Pro Day and a list of players who participated. Adam Aucoin from the UMass Daily Collegian has a story about the 2017 Pro Day. The UMass Football Twitter feed has some images from Pro Day. This article has notes about Pro Day at BC and UConn. As a WAG, I would speculate Khary Bailey-Smith would have the best chance of landing a free agent contract. Back in 2015 he was third-team All-MAC as a kick returner. He could be an asset on special teams. University of Hawaii concluded their Spring practice schedule with a controlled scrimmage. UMass and the Rainbow Warriors open the 2017 college football season on August 26th at McGuirk. 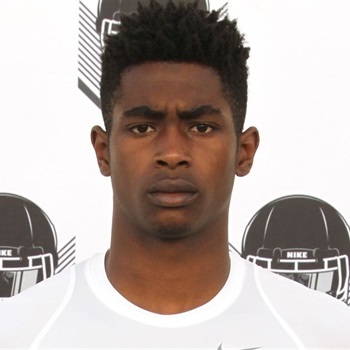 Several recruiting services indicate UMass has offered to Jamari Currence, a 5-11 180 pound DB from Rock Hill, S.C. I've blogged about Currence before. This article from Scout.com dated 03/21/2017 has a report on the 2nd Carolina Exposure Showcase mentioning Currence. Well, despite the fact it was 11 degrees here in Jaffrey, Spring practice has started. That's a morale booster right there. Dan Malone says new defensive coordinator Ed Pinkham gets to work on the 2017 UMass defense. "The thing that excites me as a coach is the challenge of building a program," he (Pinkham) said. "We were in a situation (at Western Michigan) where we took a team the first year, didn't have much and we went 1-11. You say each year we're going to get better and better and better. Through recruiting and trying to keep it simple, we were fortunate enough to have some success." One of the main reasons for the rise of Western Michigan was recruiting. The Broncos led the MAC in recruiting ratings four straight years. As well as X's and O's, I hope Pinkham can turn UMass' defensive recruiting up a notch or two. Dan also has general report on the opening of Spring practice. He notes Pinkham likes to play a four down linemen defense. 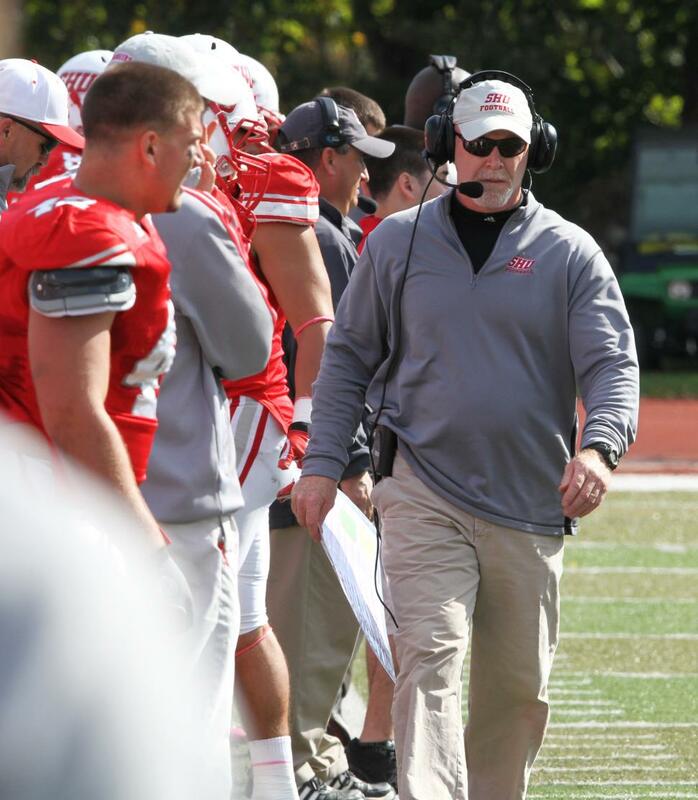 New UMass defensive line coach Dave Wissman has deep Western Massachusetts roots. Coastal Carolina's coach Joe Moglia talks about Spring practice. UMass opens their 2017 road game season at the Chants on September 2nd. Mark chguarelli of MassLive reports UMass TE Adam Breneman will receive the Francis X. Keating Award at the Western Massachusetts football banquet. Breneman should rack up a ton of stats in 2017 catching passes from Andrew Ford. Whipple's pro-set offense works best with an effective TE and a power running game. Hopefully, Breneman will a great year and position himself well for the NFL draft. Along with good numbers, leading the Minutemen out of the wilderness with some wins would also be nice. Matty Vautour, the only beat reporter still covering UMass, reports on the opening of Spring practice for the Minutemen. Matty says Ross Comis is still recovering from a torn ACL, but is running. It usually takes a year to fully return from an ACL injury. It will probably be the middle of the 2017 season before he is 100%. 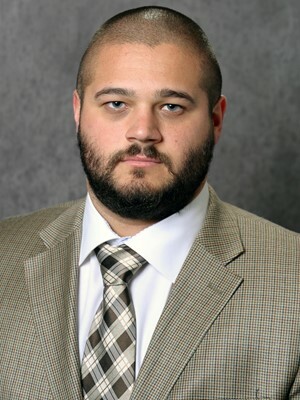 Matty also reports Matt Dawson has been named the defensive coordinator at Norfolk state. Rich Thompson of the Boston Herald reports new UMass defensive coordinator Ed Pinkham is starting to rebuild the Minutmen defense. This article by MassLive reporter Jordan Grice mentions UMass' Pro Day will be this Thursday. Coastal Carolina starts a stadium expansion. 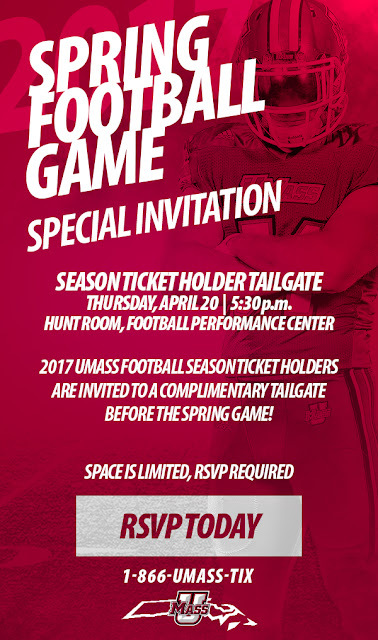 UMass will be the first FBS opponent to visit Brooks Stadium. The Portland News Herald reports on UMaine's criteria for scheduling FBS games. The Black Bears will play UMass and Central Florida in 2017. OT, but I think A.D. Ryan Bamford's decison to hire Pat Kelsey as HC of UMass hoops is a good one. I've been following UMass basketball as long as I have for football. The Minutemen program needs a high-energy guy. I accept we are a mid-major in sports, I will not concede we're doomed to be a low mid-major. With the budget and facilities UMass has, the Minutemen should be contenders for A10 crown, if not every year, then at least often. So far, I like the hires Bamford has done as A.D.
Hope Kelsey brings five good years to UMass basketball. I'll be happy for him when he moves to a big-bucks ACC job. A resurgence in UMass basketball would also help in UMass finding an all-sports conference. 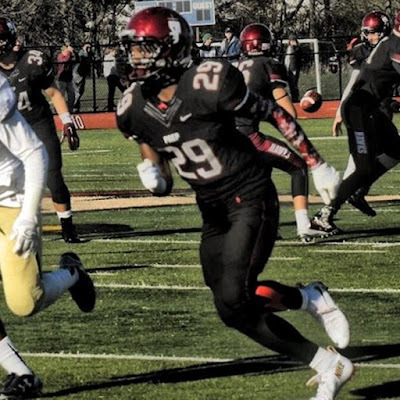 Jehlani Galloway, a 6-1 175 pound WR from Rhode Island has verbaled with Boston College. Galloway had a UMass offer. I blogged about him here. 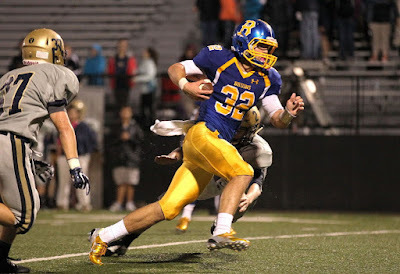 Jay Symonds, a 6-4 238 pound TE/Fullback from Cambridge, MA has verbaled to Pitt. I blogged about his offer from UMass back on March 1st. 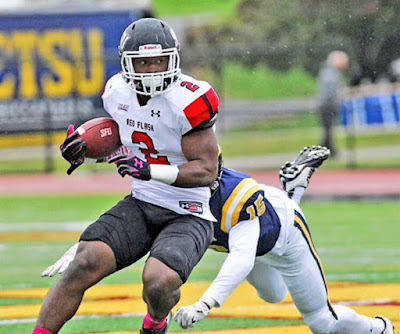 Back on March 6th, I blogged about Graham Roberts a 6-0 220 pound RB from Wilmington, DE. Roberts will be attending Nebraska's Spring game on April 15th. Kyaire Bynum, a 6-1 185 pound WR/DB who had an offer from UMass back in 2014, ended up in JUCO football. He'll now be attending DII Johnson C. Smith. USA Today has ten Group-of-Five teams who will rebound in 2017. Georgia Southern, who will play at UMass on October 21st, is one of them. Temple, who UMass plays at Lincoln Financial Field on September 16th, has a new coach; they're also looking for a new QB. FanSided.com has three Owls players set to have a big impact in 2017. Temple opens with Notre Dame and then plays Villanova in Philly. The Minutemen will be the third game for the Owls. Meanwhile, Coastal Carolina seeks to replace eight starters on offense and five starters on defense as they work through Spring practice. 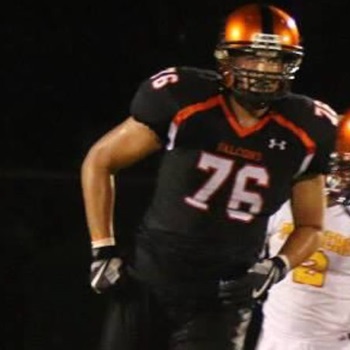 Matt Rosso, a 6-6 255 pound DL from Pennsbury HS in PA has Tweeted he's received an offer from UMass. UMass is Rosso's first offer. Appalachian State has gone 20-2 against Group-of-Five football teams since moving to FBS. This long SB nation look at the Mountaineers gives Appalachian State a 74% chance of defeating the Minutemen when they meet at McGuirk on October 28th. The Mountaineers have announced a $60 million sports renovation plan that includes one of the top video boards in Group-of-Five football. The BYU Spring game will be available on BYU TV on March 25th. BYU TV is here. Victor Santiago, a 5-9 165 pound Athlete from Milford Academy/Bethlehem PA has Tweeted he's verbaled to UMass' 2017 recruiting class as a walk-on. Hudl.com has video from Milton Academy. Like that 4.38 40 time. MaxPreps has stats from Liberty HS in Bethlehem. More stats from HS Track & Field. “And I’d love to get offers from anybody in the ACC or SEC. Those are the schools I’ve grown up around and have been watching, so I’d love to have offers from some of them,” Tannor said. 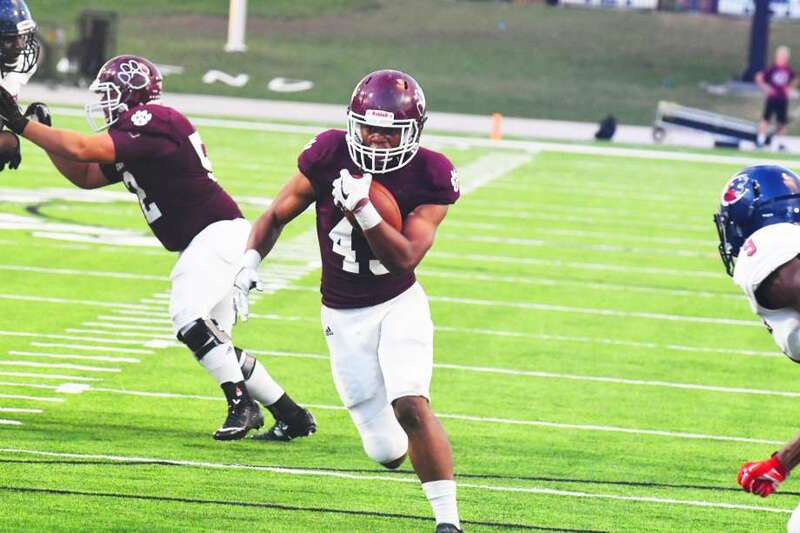 The Miller Grove product is coming off a season where he recorded 60 tackles, seven sacks, two safeties, a forced fumble and a fumble recovery." Recruit Georgia.com says Tannor's recruiting is taking off. Tannor has 18 offers including Maryland, Missouri, Rutgers and Tennessee from Power Five schools. UMass and Rutgers are the only offers from the Northeast. Underdog Dynasty looks at UMass' 2017 schedule. In addition, Underdog Dynasty says the Temple Owls don't have a rivalry game. Minuteman fans would dearly like to supply one. The last UMass-Temple game was excellent (not counting the last two minutes). Temple does have a rivalry with Rutgers over recruiting New Jersey players. The Minutemen play at Lincoln Financial Field on September 16th. Meanwhile, the USF Bulls, who went 11-2 in 2016, start Spring Practice. USF could be the best team UMass plays in 2017; better than the two SEC teams. The Minutemen should get some good recruiting exposure in talent-rich Florida from the game. UMass plays at Raymond James Stadium on October 14th. The Bulls play a number of teams from the Northeast in 2017: Stony Brook, UConn, Temple and UMass. The NY Jets could be interested in Victor Cruz. This article features BYU's linebacker corps. Francis Bernard ran back an interception against the Minutemen for 39 yards and a TD. UMass and BYU play again on November 18th. A Bleacher Report writer list the 10 states producing the most football recruits. USA Today ranks Tennessee #18 in their 2017 preseason rankings. UMass plays at the Volunteers on September 23rd. Mrs Blog and I have plans to attend. The Ohio Bobcats begin Spring practice. Ohio has an interesting OOC schedule in 2017. I think Ohio has a good shot at beating Purdue (3-9 in 2016) and Kansas (lost to Ohio last year 21-37). The Bobcats could be 3-0 OOC when they arrive in Amherst on September 30th. Sports Illustrated has Boston College and UMass's Ed Pinkham's old school Western Michigan as two of five teams who could suffer a major setback in 2017. 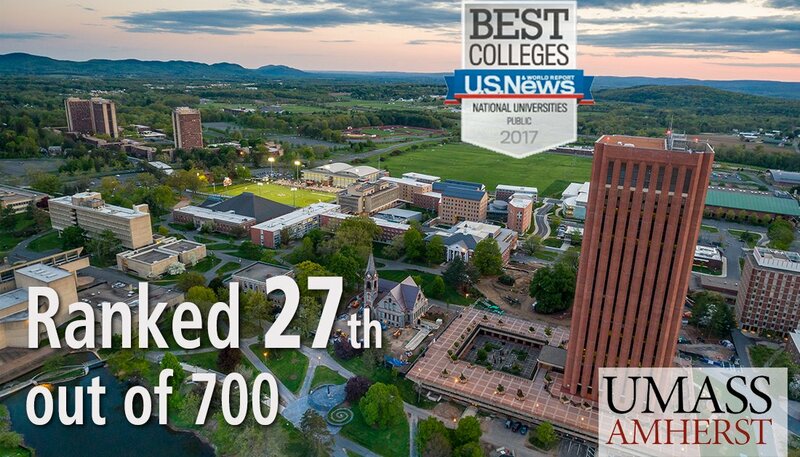 UMass' Isenberg School of Management's Online MBA program has been ranked #9 in the world. Geathers Tweet he's received an offer from the Minutemen. "Queen (his HS coach) praised Geathers' athleticism and his size. What does Geathers feel he does best? "I excel as a pass rusher. I come off the edge, I blitz a lot, and I feel that is the best part of my game. I like to watch Robert Nkemdiche and see how he makes plays, and learn from him. I am athletic at outside linebacker and I can run. I work hard too." Geathers holds 17 offers from mostly Group-of-Five schools. Syracuse and UMass are the current schools offering from the Northeast. 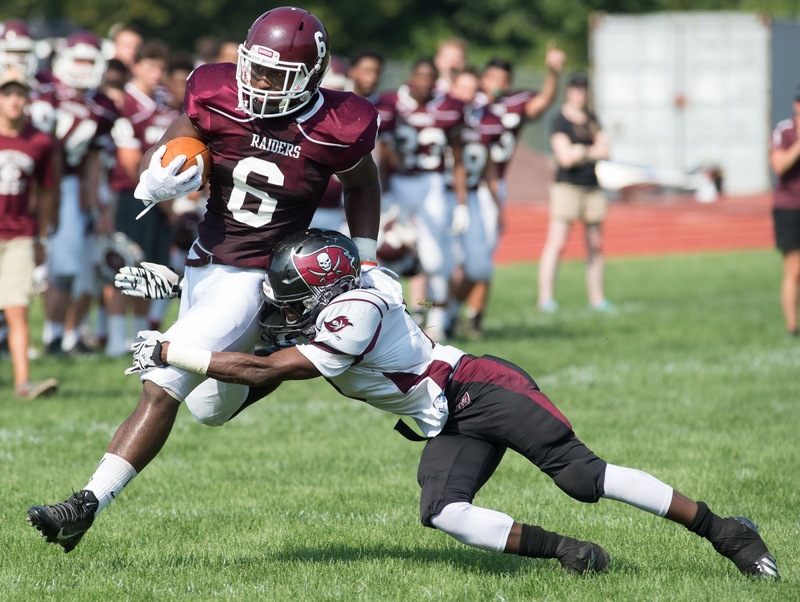 Weymouth Wicked Local has a story about Khary Bailey-Smith hoping to hear his name called in the NFL Draft. In his final year with the Minutemen Bailey-Smith went 11-11 GP-GS 41 UT 28 AT 69 TT 1.0-a TFL 4 BRUP 1 FF. SB Nation has a long review of Old Dominion's 2016 season and estimates the Monarchs have a 54% win probability at UMass this year. Hawaii's trip to Amherst will be the second longest road trip in the Rainbow Warriors history. Georgia Southern will return to their famous (in FCS) Flexbone offense for the 2017 season. Installing the Georgia Southern/Paul Johnson flexbone offense helped Navy achieve their recent success. In 1999, Georgia Southern's Adrian Peterson ran for 332 yards (a FCS playoff record) against UMass to lead the Eagles to a 38-21 win in Statesboro. The Eagles play at UMass on October 21st. Several recruiting services indicate UMass has offered to Camerun Peoples, a 6-2 185 pound RB from Lineville, AL. Spring practice start dates and Spring game dates for every FBS football team. Former UMass assistant coach Dave Sollozo is now HC at Naugatuck High School. The American Sports Network, which handles A10 basketball among other sports, may or may not be in trouble. Meanwhile, ESPN is hemorrhaging subscribers. We've talked about the difficulty of getting students to the games. The traditional ways of following college sports is changing fast. I read a broadcasting business article (can't find the link) stating one third of Millennial households do not own a single radio except for the one in their car. So, the way you and I followed UMass sports when we graduated by listening to various UMass radio shows, is fast fading in the current generation. It's going to be a challenge making college sports fans in the future. CBS Sports has a long article on the problems of certification of college football strength coaches. 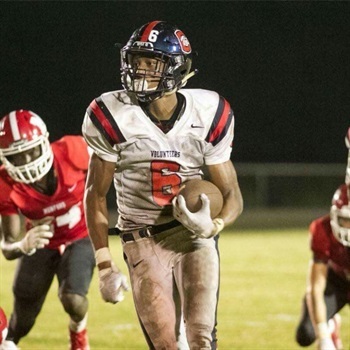 Several recruiting services indicate UMass has offered to Cole Beck, a 6-1 185 pound RB/DB from Blacksburg, VA.
On March 3rd he Tweeted he's received his first FBS offer from UMass. D1recruiting.com has a profile of Beck. Ran for 436 yards and three TD's in one game last year. Former UMass OL Vladimir Ducasse has signed a three-year contract with the Buffalo Bills. Ducasse will be in his seventh season in the NFL. A Bleacher Report writer has the top-25 college football talent producing states for 2017. USA Today has the top 2017 opening weekend college football games. They somehow missed UMass-Hawaii, but Minutemen 2017 opponents BYU, Appalachian State and Temple get a mention. OT: I come from a long line of working-class people so I tend to wince when people lose their jobs. However, I think a change was needed in UMass hoops. The facilities UMass has and the level of expenditure by the Athletic Dept, I would think UMass should be able to be consistently in the top four or so programs in the Atlantic 10. A sub-.500 record in A10 play (67-83) in league play is just not enough. Hopefully, a new coach will make those yearly seven or so long drives down from New Hampshire to the Mullins Center more rewarding. Several recruiting services indicate UMass has offered to Tony Jones. 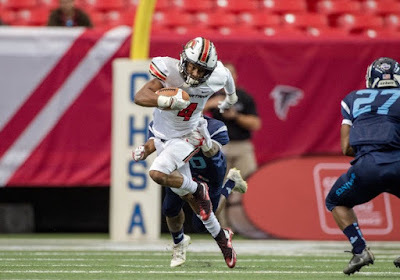 Jr., a 6-0 173 pound WR from Fairborn, GA.
CBS Sports has Jones as one of 10 rising Georgia seniors. This article from May 2016 features Jones first offer from Toledo. Besides the Minutemen, Jones holds FBs offers from Toledo and Tulane. 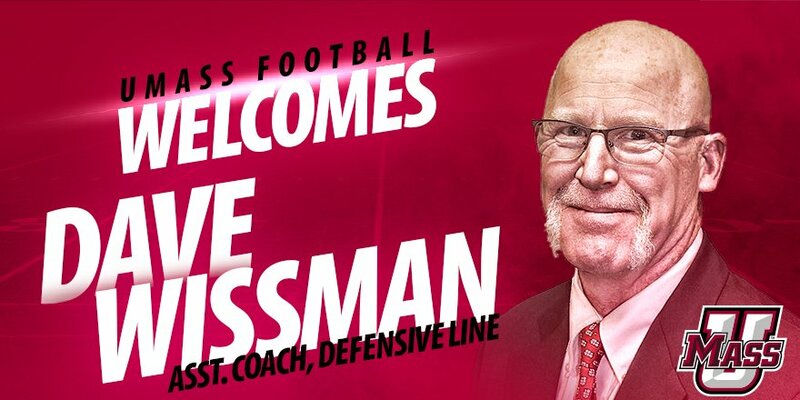 UMass has added veteran coach Dave Wissman to the coaching staff. He will coach the defensive line. Wissiman spent the last six seasons as Sacred Heart's defensive coordinator. In 2016 UMass had three players named to the New England Football Writers All-New England team. FCS Sacred Heart had two. The Pioneers' best win was over CAA member Albany who was ranked #20 at the time. UMass also added D.J. Pirkle as an assistant to new DC Ed Pinkham. Mike Traini of "Fight Massachusetts" has a post on the coaching additions. My take is that the Minutemen are getting serious about defense. Wissman is an older coach and thus UMass has to pay more than for a younger man just getting started in coaching. The addition of D.J. Pirkle should help coach Pinkham in installing his defensive system. The Minutemen also recruited defense more heavily this year than any other since we moved to FBS. Defense wins games. It looks to me UMass is investing more on the defense side of the ball. I hope the results will show in the next couple of years. Boston College blog "BC Interruption" wonders how to get BC students to go to the Eagles games. Trenton Kennedy, a 6-0 209 pound RB from Cypress, TX has Tweeted he's received an offer from UMass. UMass is Kennedy's first offer. Drawing interest from Texas. Since I've started this blog I've done quite a few posts (6,442 to be exact) many of them about recruiting. After reading all those recruit interviews, one common thread is the players saying they're looking for a good academic school and a chance to play at a high level. UMass is currently ranked #27 out of 700 public universities. Coach Whipple has coached in the Super Bowl. The Minutemen play a pro-set offense and use pro-style play nomenclature. The Minutemen's independent schedule allows players to go up against top competition (Tennessee, Mississippi State and BYU in 2017). The Princeton Review ranks the UMass dining commons #1 in the nation. Kinda makes me wonder what else recruits could want. Inside the Pylon has an Ode to Victor Cruz. SB Nation says the Big 12 is falling behind due to conference realignment. The NCAA recommends three rule changes for 2017. Grahm Roberts, a 6-0 220 pound RB from Wilmington, DE has Tweeted he's received an offer from UMass. "The brother of Nebraska 2017 early enrollee Avery Roberts, the junior has an early offer from Nebraska, North Carolina and Syracuse. Roberts was named to the All-USA Delaware first team in 2016, despite missing most of the second half of the season. He still rushed for 848 yards on 88 carries with 12 touchdowns. In 2015, Roberts rushed for 320 yards in one game. Besides UMass, Roberts has offers from Nebraska, North Carolina and Syracuse. 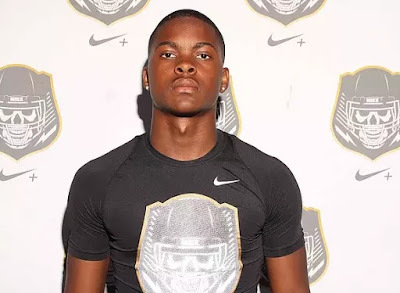 DeJuan Danbridge, a 6-1 185 pound Safety from Philadelphia, PA. has Tweted he's received an offer from UMass. Video of an INT by Danbridge against North Penn. 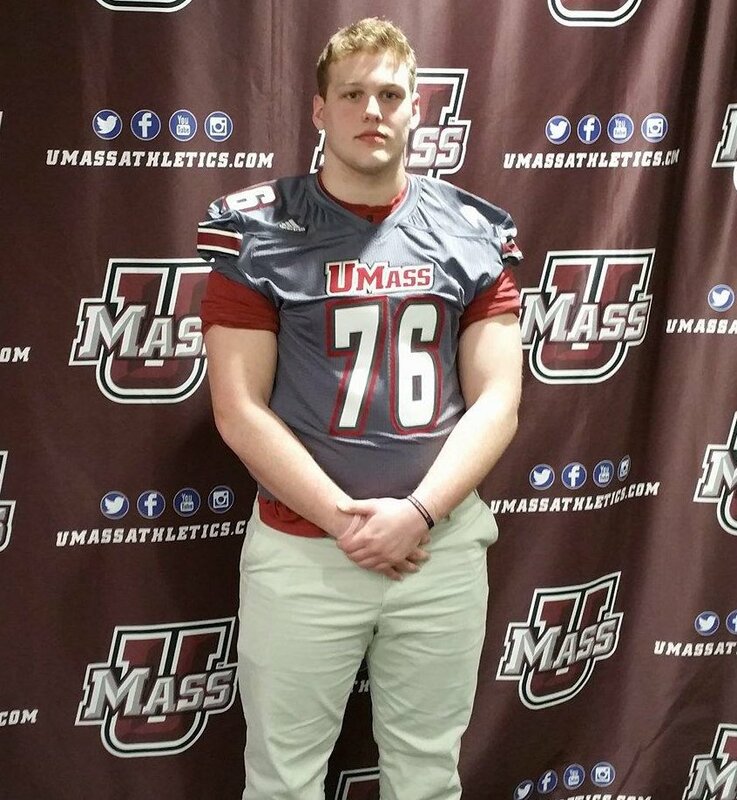 UMass is Danbridge's first offer. Drawing interest from Temple, North Carolina, Maryland and Penn State. Several news sources report Jordan Fredericks, a 5-10 210 pound RB who previously played for Syracuse, has transferred to UMass. Mike Traini of "Fight Massachusetts" has a post on Fredericks. Matty Vautour has a report on the transfer. A Syracuse fan site on SB Nation talks about Fredericks moving to the Minutemen. Syracuse.com has a story on Fredericks' transfer to UMass. NBC Sports has a post on Fredericks landing in Amherst. Fredericks is a nice addition to the Minutemen team. He's the 2014 New York HS Gatorade Player-of-the-Year. 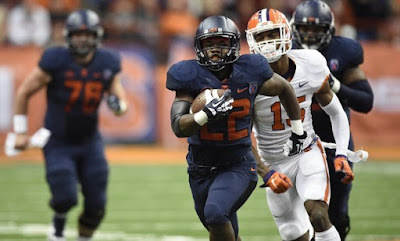 Fredericks averaged over 5 yards a carry during his career in Syracuse. Hopefully, he'll be as successful at UMass as Penn State transfer Adam Breneman. This is what UMass needs to do to succeed in talent-sparse New England. The Minutemen needs to exploit all the recruiting streams to build the talent level in Amherst. Good catch by the UMass coaching staff. Go UMass! 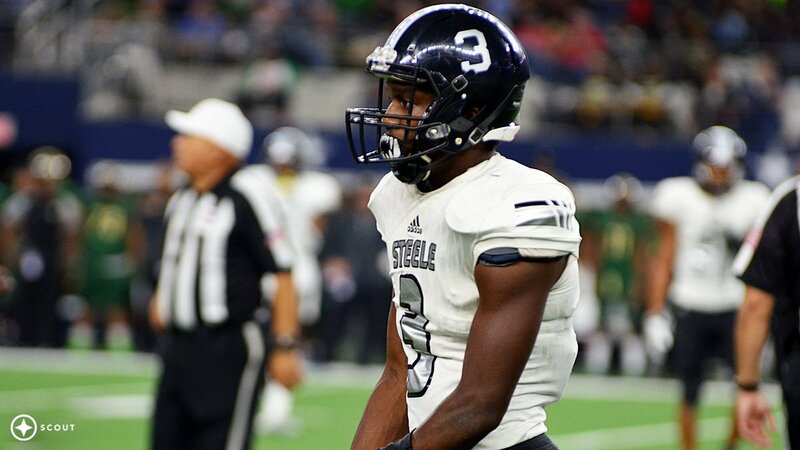 JayVeon Cardwell, a 5-11 170 pound CB from Cibolo, TX has Tweeted he's received an offer from UMass. "Baylor, Texas Tech and UCLA are showing interest in Cardwell while Bowling Green, UTSA, SMU, Tulsa, New Mexico, Texas State, Texas Southern and Vanderbilt have offered the junior. He claims no leader. "All are about the same right now I talk to most weekly," Cardwell explained. In addition to SMU, Vanderbilt, Texas Tech, Houston and TCU will get visits this spring and summer from Cardwell. Cardwell says on the visits, he's looking to get a feel for the campus and how he fits in. He says all the schools coming after him right now feel good to him, but getting on campus is the next step." Cardwell holds offers from 10 schools including Vanderbilt from the SEC and SMU from the AAC. Joe Kane, a 6-3 265 pound DE from Wake Forest, NC has Tweeted he's received an offer from UMass. This article from HighSchoolOT.com covers Kane's offer from the Minutemen. MaxPreps has stats. Kane had 84 TT 19.5 SACKS and 18.0 TFL last season. "Along with the Mountaineers, Georgia Southern, Georgia State and Wofford have offered, while East Carolina, Charlotte, Maryland, Duke and South Carolina are also showing interest. According to Kane, East Carolina could be close to offering. "They play in a great conference and it's close to home," Kane said. "They also have the majors I'm looking for and the atmosphere is great." Besides UMass, Kane has FBS offers from Appalachian State, Georgia State, Georgia Southern and Charlotte. 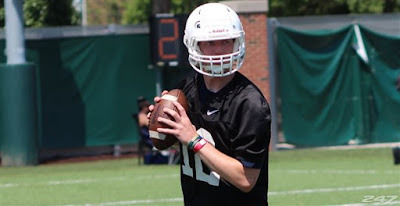 Kevin Doyle, a 6-3 185 pound pro-style QB from St. John's HS in DC has tweeted he's received an offer from UMass. NCSA Recruiting has some stats. "Arm strength, decision-making, field vision, frame, footwork/feet, intelligence, and pocket awareness. Those are attributes that any quarterback in the nation could hope to have. When they all describe the strengths already possessed by a current high school junior, the expectations are off the charts. Those qualities describe Kevin Doyle, and with 14 scholarship offers already in-hand, including one from Michigan State, he’s viewed as one of the top quarterbacks in the nation for the 2018 recruiting class." Doyle now has 17 offers including Temple, Pitt, BC, Syracuse and West Virginia in the Northeast. Mike Traini of "Fight Massachusetts" has a post about Symonds' visit to UMass and his recruiting status. Besides UMass, Symonds holds offers from Pitt, Temple and three Ivy league schools. BYU finalizes its 2017 schedule. The Cougars will be UMass' last game of the 2017 season. The Minutemen have a tough schedule in November with trips to Mississippi State and BYU bracketing a home game with Maine. Coastal Carolina prepares for its first year of FBS football. UMass will be the season opener for the Chants. UnderDog Dynasty says the Chants first five games are "very winnable". Coastal Carolina played a fairly weak FCS schedule in 2016. Their best win was over Furman, which is usually a strong FCS team. They had eight and ten point wins over Central Connecticut and Bryant respectively. The Panthers meeting with Victor Cruz went "just fine". The Sun Belt Conference has announced their 2017 schedule. Underdog Dynstany comments on Appalachian State's (which plays UMass at McGuirk on October 28th) schedule. Georgia Southern's schedule is also out. The Eagles will play both UMass and New Hampshire. If I remember right, GSU and UNH met twice in the FCS playoffs with the Eagles winning both times. Ohio has also released its 2017 schedule. The Bobcats face Hampton, Purdue, Kansas and UMass in their OOC schedule. I'll pick Ohio to beat at least one of the Purdue-Kansas duo. South Carolina QB Brandon McIlwain, who was passed over to start against UMass last year, is transferring out. Transfer Miami RB Gus Edwards, has landed in Rutgers. Western Michigan's leading tackler LB Robert Spillane, who played for new UMass DC Ed Pinkham last year, has been granted his release from the Broncos. Spillane went 14 GP 60 UT 51 AT 111 TT 10.5-34 TFL 3.0-21 SACKS 3 INT's 2 FF last year. There's a report that former Western Michigan coach P.J. Fleck is under investigation for trying to poach Broncos players. UMass astrophysicist Stella Offner has received a NSF grant to study early star formation and to develop an interactive program for teaching astronomy K-12 in local schools. 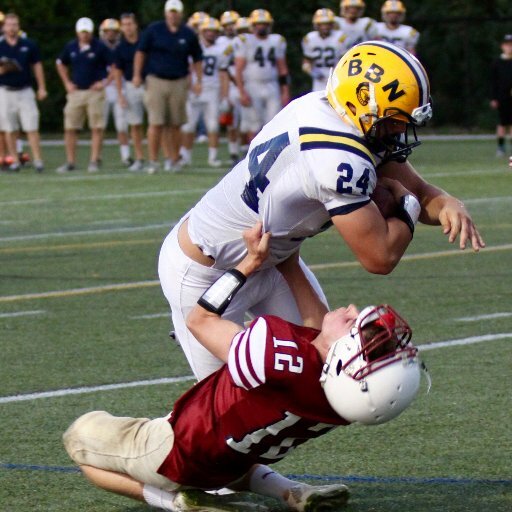 Jay Symonds, a 6-4 257 TE/DE from Cambridge, MA has Tweeted he's received an offer from UMass. Symonds hold FBS offers from UMass, Pitt and Temple. Ivy League offers from Brown and Dartmouth. 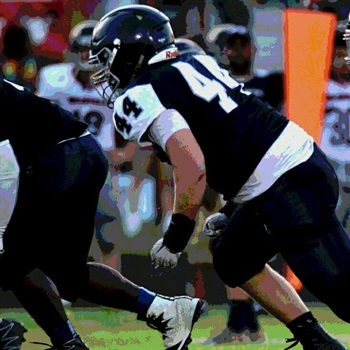 I recently blogged about Ryan Betro, a 6-4 280 pound DT/OG from Lawrence Academy. Mike Traini, of "Fight Massachusetts' has a post on Betro's recruiting and his impressions of his Junior day visit.